(click image for large view) A Saracen APC currently in use by a US law enforcement agency. 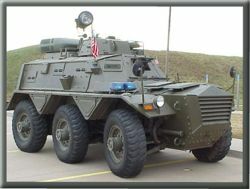 Many modern law enforcement agencies across the US have found a variety of practical applications for an armored vehicle. - Blocking vehicles to limit the escape of a high risk suspect. 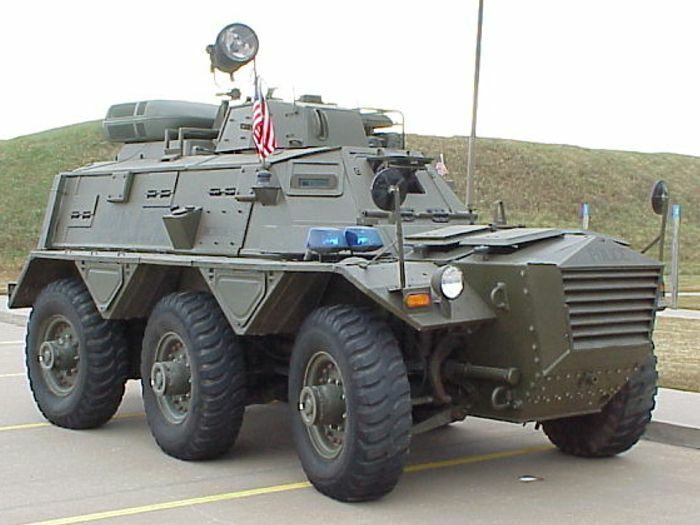 Traditionally the only vehicles that were available to agencies were ex-US military vehicles that were few and far between. The ones that were released many times needed extensive refurbishment. Fortunately we are able to supply a variety of ex-British military vehicles that are affordable and maintainable. Below is a list of vehicle types that are available. Although we only stock a few vehicles any of the vehicles listed can be ordered. See our IN STOCK VEHICLES page for what is currently in Tulsa. Law enforcement references available. Click on the links for further information.